- Enable some special template same as my threads 1 | 2 before. I should like some clarification please. Currently my forum is on the "Free Package". I have a custom url (purchased through forumotion in 2008 - no further annual fee has ever been required). It now looks/reads like I will have to pay annually for that privilege ? Further, each year I buy 2000 credits to stop ads for guests and members, and now 500 credits for the SSL Certificate. This adds up to 2500 credits per year. Reading into your info and what it says in my ACP, to get the same level of service when my renewal comes around, it looks like I shall have to move up to the "Advanced Package". That would, according to the charges at the bottom of the forum packages page in the ACP, be a rise in credits to 5260 per year. More than doubling my annual costs for the same service !? The other stuff that comes with the advanced pack I do not want or need. Or am I reading it wrong ? I would appreciate your clarification. We are in the same boat, since we got the domain every year free due to our activity. For the domain you have to get now pack 1 plus the extra credits on top for the domain. 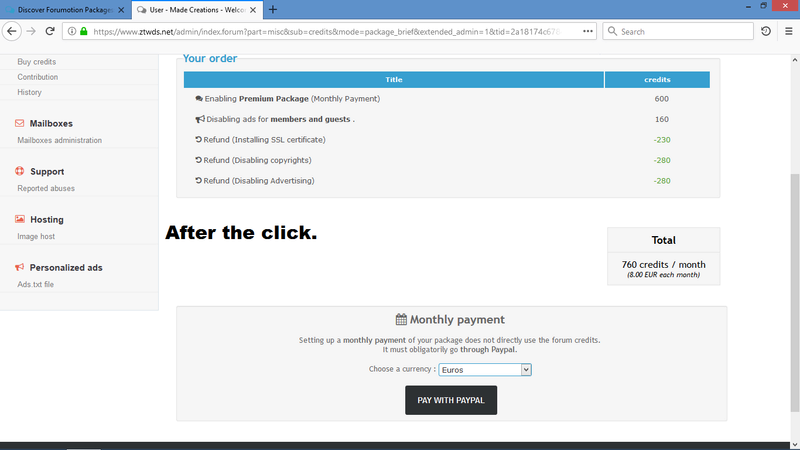 If you also want to remove ads, you have to get the advanced package, the extra credits for the domain and then also the extra credits to remove the ads. That's how I understood it. I am not completely sure if you need the advanced package for the ads, but about the rest I am pretty sure. But, few months is needed to use the payment facilities. and It will be better if you provide "Setting up an external domain name" option in free package. @0ldcat wrote: I have a custom url (purchased through forumotion in 2008 - no further annual fee has ever been required). It now looks/reads like I will have to pay annually for that privilege ? It wont change if you still have the requirements. Offered domain names will still be offered even with the free package. But if you don't fill the requirements one year, you'll have to be at least in advanced package to renew a domain name. Price has been lowered by 25%, domain name costs now 1200 credits "only" versus 1600 credits so far. 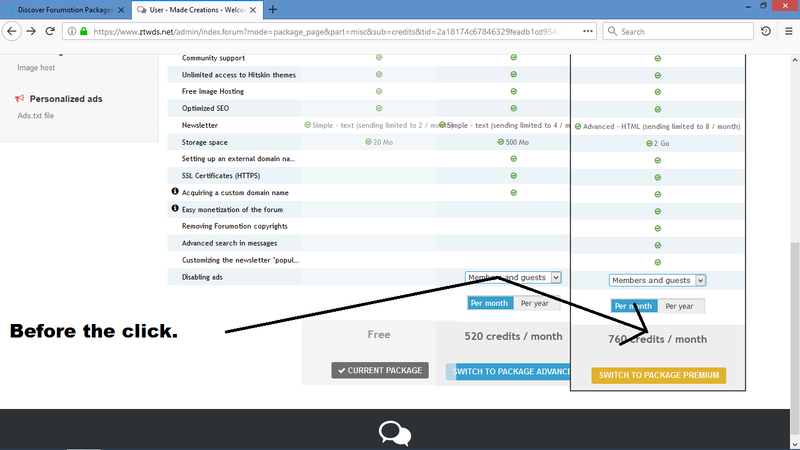 SSL certificate is now included in advanced (and premium) package. Reading into your info and what it says in my ACP, to get the same level of service when my renewal comes around, it looks like I shall have to move up to the "Advanced Package". That would, according to the charges at the bottom of the forum packages page in the ACP, be a rise in credits to 5260 per year. I would like to know since I use an external domain name, which doesn't expire for another 2,5 years on my forum if it's still possible to keep that on the free service, or am I forced to go back to the original creation url ? 600 credits? Where does it say 600 credits? Is this the first time you used credits? If yes, do you see Forumotion Packages (AP > Misc. > Credits Management)? If yes, click the link. I am also getting an error to swap to Premium package. Ok. It is not loading the next page. For Dyna, they are trying to purchase something for 680 credits when they only have 600. I have 1000 credits so I should not be getting an error. I believe some members will see different amounts because they purchased items before the release of the packages. For example, I have a domain name, no ads, and no copyrights already. I see 760 credits for a monthly payment for the premium package. You have the no option in the drop down menu. Try setting an option. Ya...I've tried everything. I have no issue adding credits to get anything....like I said...I'm probably tired. I'll give'r another crack after some coffee in the morning. 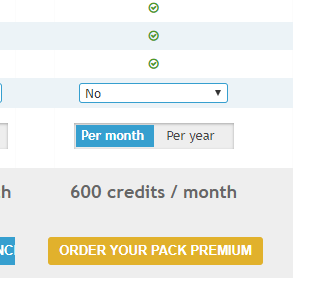 If you want to subscribe a monthly pack, you dont need credits for it. 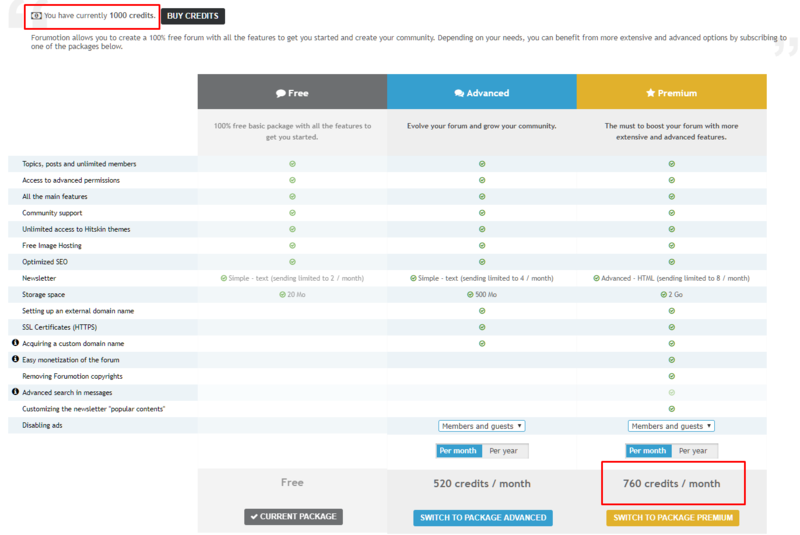 Credits will now be used only for annual package, and for purchase or renewal of custom domain name. But users who have already removed ads will see 440 and 680 if they removed ads for members, and 520 / 760 if they removed ads for both members + guests. @Chellizard wrote: I am also getting an error to swap to Premium package. @SLGray wrote: I believe some members will see different amounts because they purchased items before the release of the packages. It all worked this morning! I have my coffee now and I'm ready to rock.